I get asked all the time about what vacuum should a liner be set up at. Quoting a number is rife with issues because like George Will so aptly said, all things aren’t created equal. When dealing with liners and vacuum the real data one is looking for is teat end vacuum. Although we set system vacuum to deliver a teat end vacuum, quoting a system vacuum to deliver a teat end vacuum just won’t get the dairy the correct answer. Teat end vacuum is influenced by essentially too things, flow rate and restrictions. All things being equal, higher flow rates lower vacuum. 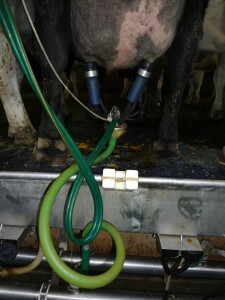 Similarly, more restrictions lower vacuum on the teat end. Build a system with restrictions and add high flow rate cows and the vacuum on the teat end during peak flow drops even more. What to do? 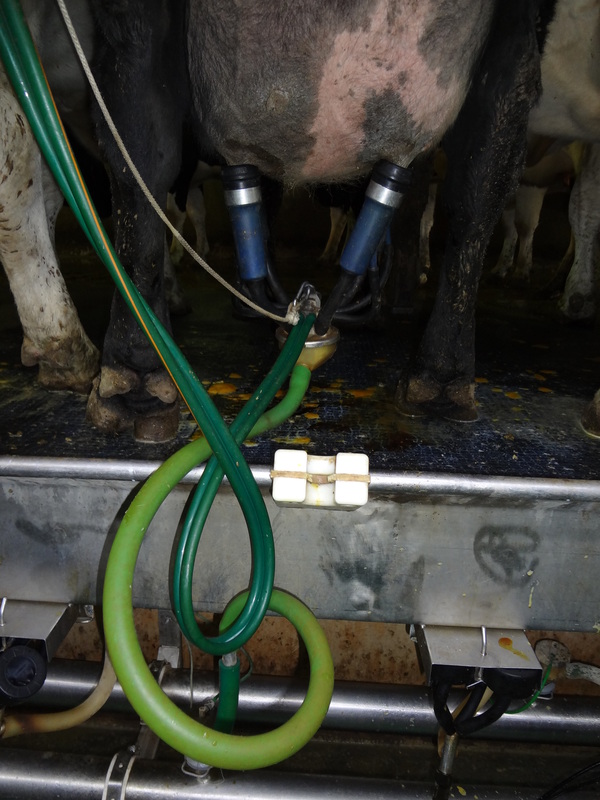 Elimination of restrictions is essential to delivering more consistent, predictable vacuums to teat ends. I have often told people, we can raise vacuum, and add predictability to the system two ways; remove restrictions or lower flow rates. I have yet to meet the dairyman who thought the cows milking less or slower was a good option, back to removing restrictions. Take a look today, are the hoses too long? Could we cut some hose? Removing as little as 6 inches can make a difference. What is being used to shut off vacuum? Is the diaphragm or pinch hose opening completely? What about claws are the inlets and outlets smooth and open or have they met the parlor floor a few too many times and round is a relative term. All things aren’t created equal, that is no reason to accept below average performance, most times it is the “little things” that add up to making big differences.